It’s Thursday April 4, 2019 and this is your weekly early morning Esports briefing. For additional longer-form esports news plus jobs, a team directory, glossary, calendar and data, check out our new esports hub updated daily: http://cynopsisesports.com. After flirting as sponsor for ELEAGUE’s x Rocket League Game Zone presented by AXE at the Final Four Fan Fest this weekend, men’s grooming brand AXE and ELEAGUE are now going long-term, locking in a deal for the brand to serve as Official Personal Care Partner of ELEAGUE. The collaboration will include a number of promotional and marketing initiatives spanning television, digital, social, and on-site at competitions, connecting AXE’s line of body sprays, deodorants, anti-perspirants, body washes, shampoos and styling products with ELEAGUE’s fans. In addition to this weekend’s promotion, AXE and ELEAGUE will create custom content features, including You’re Hotter When You’re Chill presented by AXE, which features players in candid conversations about how they keep calm during critical in-game situations. These features will be integrated within live and on demand coverage throughout the year across tournaments and on ELEAGUE’s social pages. Epic Games is giving fans a taste of the Fortnite World Cup with the launch of the Fortnite World Cup Warmup from April 6-7. Dangling $500,000, the online practice tournament opens the door to the qualifying World Cup Online Open tournaments, which launch on April 13. The Fortnite World Cup will take place in New York City from July 26-28 with a massive $30 million prize pool. ESL detailed its string of successes coming out of IEM Katowice. The final stop for the 13th Intel Extreme Masters season saw more than $2.5 million in prize money awarded to teams and players competing in CS:GO, Dota 2, StarCraft II, Fortnite and other games. Along with 174,000 fans attending the tournaments and surrounding expo over the course of two weekends, all the tournaments combined achieved 157 million hours watched and 232 million viewers (accumulated daily viewers over the duration of the entire event), to become the most watched ESL tournament series of all time, with the largest number of unique viewers on a single day hitting 20 million. viewership was anchored by the CS:GO tournament which drew more than 126 million hours watched and nearly 195 million viewers. Formula 1 announced that the third instalment of the F1 New Balance Esports Series will kick off onA April 8, extending the schedule to include more racing for double last year’s prize money, with a $500,000 prize pool up for grabs. The expanded season means that at the Pro Series, the official F1 teams and their drivers will now compete in four live events, compared to just three events last year, between September and December 2019. In addition, F1 renewed its partnership with Codemasters and Gfinity for the 2019 F1 New Balance Esports Series. New Balance, the footwear and lifestyle brand, will remain as Title Partner and will be fully integrated into the Series, with all drivers wearing New Balance socks and shoes whilst racing in the Pro Series. Fanatec also remain on board as Official Sponsor, supplying the championship with elite and advanced equipment. The World Showdown of Esports locked in Team Serenity to defend their Dota 2 championship at WSOE 6: Dota 2 – Serenity’s Destiny. Competition will take place from April 13-14 live from the PokerGO Studio at ARIA Resort & Casino in Las Vegas, with a preshow at 9:30a. The event will showcase the WSOE’s unique “fight card” format. Day one will feature four “challengers” from around the world, including J.Storm, Infamous Gaming, GGNGG, and Team Team, competing for the opportunity to dethrone Team Serenity as WSOE Dota 2 champion. On day two, Team Serenity and the top challenger will battle in a final best-of-five Championship Match. Brands! Don’t miss your spot. Seats are filling up fast! Lock in your invite to the 2019 Esports Upfront on April 15 in NYC. Partnerships this year include heavyweight brands such as Activision Blizzard, Endeavor/Fortnite, Riot Games, WorldGaming, TSM, 100 Thieves, Cloud9 and theScore who will lay out partnership opportunities with their organizations. In addition, hear from speakers from brands who will breakdown their own lessons in esports activation. Hurry and request your invite today by clicking here. Porsche is expanding its one-make motorsport series in a move that will now add a virtual world championship, known as the Porsche Esports Supercup. Competition will feature 40 sim racers, who have successfully made their way through the global qualifying process and will compete in slate of ten online races, starting April 13 on the virtual version of the Barber Motorsport Park in Alabama. The final race will take place on Sept. 28 at the Circuit Monza, Italy, with the championship offering a $100,000 prize pool. Ubisoft announced plans for year two of the Rainbow Six US Nationals. The season begins April 6. The company posted that this year’s total prize pool has been raised to $156,000, with the winning team earning the title of Team USA 2019. Doubling down in 2019, the R6USN will have two broadcast days per week, highlighting the top four teams from each Conference. Western Conference teams will compete live on broadcast Tuesday evenings. The Eastern Conference teams will compete on Thursdays. Towards the end of the stage, the top four teams will play in a semifinal and final round, determining who will move on to the R6USN Finals in December. The Boston Uprising announced today the bracket for the preliminary rounds of the Spring Collegiate Cup taking place online on April 6. The field features 11 teams from nine local New England schools including Becker College, Boston University, Champlain College, Emerson College, University of Massachusetts Amherst, New England College, Northeastern University, University of Rhode Island and Stonehill College. Theatre Box, a new luxury cinema, dining and entertainment complex located. in San Diego’s Gaslamp Quarter, announced plans to add TCL Chinese Theatres’ esports venture, Hollywood Esports, to to this mix this Sept. Theatre Box marks the second location to feature the cinema design of Hollywood Esports, enabling Theatre Box to convert an auditorium between “Cinema Mode” and “Esports Mode” in less than one hour, allowing for the showing of MX4D films and hosting of esports tournaments and events. We’re thrilled to announce Winners and Honorable Mentions for the 5th Annual Cynopsis Social Good Awards, spotlighting the companies, programming, campaigns and people that are using media in innovative ways to help make the world a better place. Take a look at the projects, partnerships and people who utilized their position to make real change happen. On Twitch and other streaming platforms, Influencers will label sponsored streams in their titles as #Ad or “sponsored” in compliance with the FTC Advertising guidelines. Stream Hatchet has the ability to pull session titles and analyze their content for specific keywords. In March 2019, Twitch viewers watched approximately 9.4M hours of labeled sponsored content. 1% of Twitch’s March hours watched were sponsored: 9.4M of the 943M hours watched were labeled as sponsored streams (#Ad or “sponsored”). Ninja is the Face of Twitch: 474.4K of Ninja’s March H. Watched were sponsored. That’s 5% of the total sponsored H.Watched. A game changing FIFA Streamer: Although Ninja has more aggregate sponsored H. Watched, the top sponsored stream came from Aa9skillz for Game Changers with 199.7K H. Watched. For more information on how Stream Hatchet can help brands understand gaming video content, visit our blog at: blog.streamhatchet.com. 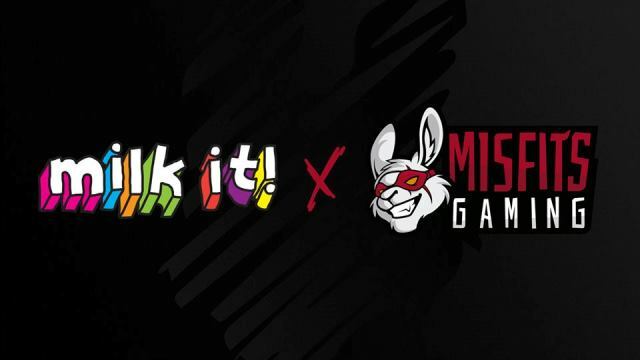 Misfits Gaming got a new partnership with Milk It! to “bring the energy of real milk to our Fortnite pro players and influencers.” This month will see the team launch a slate of activations that will include tournaments, events and community meet-ups as well as behind the scenes content to show fans how the beverage “helps them crush what they’re doing every day.” The Misfits Gaming line-up includes Surfnboy, competitive duo Famhood and Sheep as well as PC streamer Heads; and Sceptic – the 14 year old superstar with over 1 million YouTube followers. “Our community is the foundation of everything we do here at Misfits Gaming. We’re excited to bring our fans closer to our Fortnite players through events and content in partnership with Milk It!” said Misfits Gaming Co-Founder and CEO Ben Spoont. HyperX renewed its ties with the NBA 2K League for its second season. The deal sees HyperX continue as the Official Gaming Headset Partner of the league and will provide gaming headsets for all league gameplay and events. HyperX gaming headsets will be used by players during all live gameplay, including weekly matchups, tournaments, the NBA 2K League Playoffs and the NBA 2K League Finals. Additionally, HyperX has partnerships at the team level with many NBA 2K League teams including HEAT Check Gaming, Mavs Gaming, NetsGC, T-Wolves Gaming and 76ers Gaming Club. The team practice facilities will also be equipped with HyperX gaming headsets. Riot Games inked home and kitchen appliance brand Beko to serve as the newest partner for the League of Legends European Championship, where they will serve as the official domestic appliances supplier for the Spring Split and upcoming Summer Split. Activation will see the two orgs team up to create exclusive content designed to promote healthy eating. Skillz announced that it has raised over $120,000 for Susan G. Komen, the world’s leading breast cancer organization. Since the partnership launched in March 2018, more than 25,000 eSports players, primarily between the ages of 18 and 35, participated through the Skillz platform. The total amount raised exceeded the original $100,000 anticipated by more than 20 percent, and included participants from 38 United States as well as over 60 countries. ESPN is adding esports programming, announcing Wednesday the launch of Road to The Madden Bowl, in partnership with EA and the NFL. 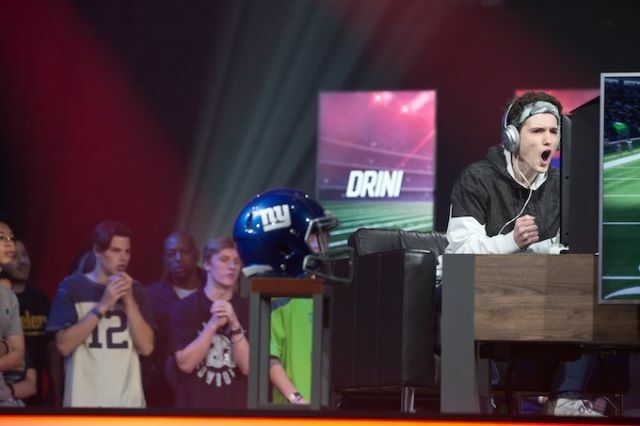 The four week docuseries runs on ESPN2 and chronicles top Madden players as they compete in the Madden NFL Championship Series. Episode one debuted this week, with subsequent runs on April 9, 16 and 24. The Madden NFL 19 Bowl will be held from April 25-27 at the EA Broadcast Center in Redwood City with the grand final airing live on ESPN2 on April 27 at 4p. In addition, ESPN debuted a weekly program, CEC: Countdown, leading into the first-ever ESPN Collegiate Esports Championship. The program will air on ESPN Esports’ Twitch, YouTube and Twitter as well as ESPN3 and will rotate hosts weekly. Week one featured Goldenboy and LeTigress on microphone duties. 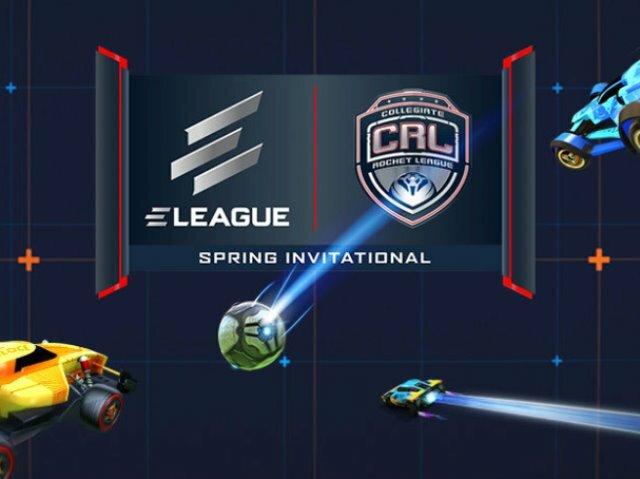 Psyonix announced that its Esports Shop Update will go live in Rocket League on April 16 for all platforms and include items representing various teams from the Rocket League Esports ecosystem. Multiple reports state that esports community portal esports.com has entered into provisional liquidation by a Munich district court. The site launched in December 2017. Twitter ‘s head of gaming content partnerships Rishi Chadha opened the door to monthly insights from the platform, revealing the most talked about Games & Esports Teams in in the first quarter of 2019. 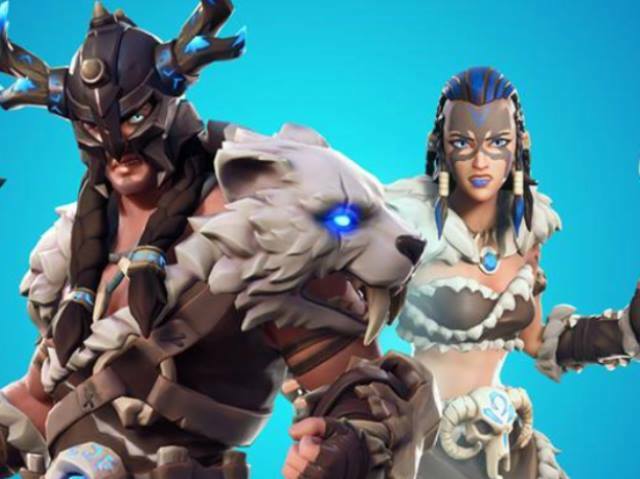 The five most talked about games across the globe: Fate/Grand Order, Fortnite, Granblue Fantasy, PlayerUnknown’s Battlegrounds and Kingdom Hearts. Stateside, that list was led by Fortnite, Kingdom Hearts, Call of Duty, Apex Legends and Overwatch. Meanwhile, the five most mentioned esports organizations in the world: FaZe Clan, G2 Esports, MIBR,, FNATIC and OpTic Gaming. Savannah College of Art and Design’s SCAD GamingFest kicks off today with the three-day event serving up panel discussions, presentations, live demonstrations, screenings and more. The festival focuses on the innovative craft used in game development and design, writing for games, producing esports, etc. and includes SCAD esports athletes competing in a Super Smash Bros. Showdown. ESL named Thomas Schmidt as Chief Commercial Officer of the company. Previously, Thomas Schmidt spent 16 years in developing the UEFA Champions League commercialisation and distribution and will be charged with managing the ESL Sales teams and expand all existing and new brand partners, as well as media distribution revenue streams. Former CFL commissioner Jeffrey Orridge was named chairman of Tiidal Gaming, a Canadian esports company and parent to Lazarus Esports. Former Twitch PR Director Chase joined live stream platform StreamElements to serve as the company’s new head of communications. Chase will be responsible for all the brand’s global communications. Come together at the Cynopsis Measurement & Data Conference on June 11 in NYC. You’ll come out better informed & armed with actionable insights. Register your team by April 12th to lock in the early bird rate! ON THIS DAY in 1975: Microsoft is founded. Answer to Our Last Sports Trivia Question: The game X-Men Origins: Wolverine featured a secret hatch (pictured above) that paid homage to which ABC television drama? Answer: Lost. Kudos: Matthew C. Phillips-Tower Products Incorporated/NY; John Markiewicz-Genesco Sports/NY; Leah Eubanks-Trimble Inc/Westminster; Jason Valluzzi-Active International/NY; Matt Sautter-WideOrbit/Harrisburg; Rick Dascher-Turner Studios/Atlanta; Victoria Horsley-NACE/Kansas City; Brad Stern/Carbondale; Andy Babb-Super League Gaming/Santa Monica; David Westberg-SAG-AFTRA Federal Credit Union/Burbank; Tom Moore-Kalt Productions/LA; Peter Steckelman-Tennis Channel/Santa Monica. Help our game developers build without constraints — drive the technology choices that enable a world-class user experience. Design, implementation, deployment, and maintenance of highly-scalable and available services for our live games. Overseeing the Q/A and localization process with internal and external vendors, with the assistance of an Associate Producer(s). Establish a unified artistic direction, vision, and high production standard in the creation of a polished cross-platform game. Use best practice to implement new and improve existing features of the engine in response to requests from other development disciplines. Simulation, modeling, design and test project development. Rapid prototyping and Labview test development. Working with the design team to create gameplay that creates fun and interesting levels. Work with other engineers, partners and colleagues, to discuss application and architectural solutions. Work with the Design and Development teams to create new content and features that drive player engagement. 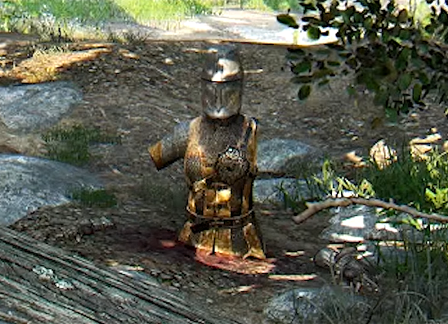 Debug and optimize game logic to improve existing game features and performance. Regularly review game art and marketing materials to ensure content is high quality and on brand. Partner with analysts and live producers to identify strategic business questions, key metrics, and actionable insights. Develop, maintain and extend current Network systems on all supported platforms. Assist the Creative Director, Brand Associate Art Director and artist toward the completion of their department task and project goals.